JOHANNESBURG, 29 October 2013 – South Africa stands at a cross roads in its developmental paradigm. The National Development Plan provides a blueprint for our social and economic growth and development. The critical question is how will this achieved and by whom? This and other questions will be thrashed out during South Africa’s inaugural Competitiveness Forum hosted by Brand South Africa at Gallagher Estate on 5 November 2013. 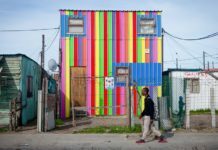 How South Africa goes forward in implementing the National Development Plan depends on a common understanding of the country’s strategy for growth and development. It will be essential for each of the country’s 50 million citizens to see the role we can, and must, play in moving the NDP from a policy on paper to a plan that we all buy into and more importantly, that we all play our part in implementing. The South Africa we live in today is a South Africa that we all fought for, for many years. South Africa’s transition to democracy in the 1990s was a cumulative effort of all the country’s people. It is this spirit that must take hold in each of us now as South Africa moves into its adulthood after 20 years of democratic governance. “South Africa needs each citizen to be part of this movement towards implementing Vision 2030. There is an opportunity for 200 leaders from across society to be part of this inaugural conversation at Gallagher Estate on 5 November 2013. Seats are limited and filling up quickly. 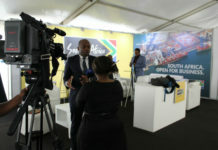 Please register online at http://www.brandsouthafrica.com/projects/sa-competitiveness-forum/sacf-registration. Delegates will be able to participate in the following breakaway discussions: education, skills & labour; products and services; governance and leadership; infrastructure; and FDI competitiveness. We look forward to hosting you at this inaugural Competitiveness Forum,” concluded Mr Matola. • Dr Douglas van den Berghe – CEO and founder of Investment Consulting Associates – ICA headquartered in Amsterdam and Boston with offices around the world and supplier of two web based FDI advisory products. Moderators on the day of the forum include Prof. Adam Gordon from Wits Business School, Mr Karthi Pillay from Deloitte, Dr Dominic Heil from the Reputation Institute of South Africa and Ms Nomaxabiso Majokweni from Business Unity South Africa. Media are invited to RSVP should they wish to cover this event with name, surname, ID number, media house and designation by Wednesday 30 October 2013 for accreditation purposes. Information should be sent to nadias@brandsouthafrica.com and arahnas@brandsouthafrica.com. The International Women’s Forum (IWF) is a global organisation of preeminent women of significant and diverse achievement who come together across national and international boundaries to share knowledge and ideas, enrich lives, provide a network of support and exert influence. Through its Leadership Foundation, the IWF helps prepare future generations of women leaders. With forums throughout North America, South America, Africa, Asia, Europe and the Middle East, the IWF facilitates networking among women of achievement and promotes opportunities for women in leadership. Founded in 1982 in the United States, the IWF has grown across five continents into 26 nations and 60 affiliated forum locations and currently has a membership of over 5 000 women leaders. The International Women’s Forum of South Africa (IWFSA) was established in 2000. IWFSA currently has some 70 members drawn from government, business, the sciences, the arts and numerous other areas. Reputation Institute is a leading reputation-based advisory firm, founded in 1997. The most prominent management tool is the RepTrak model for analysing the reputations of companies and institutions – best known via the Forbes-published Global RepTrak 100, the world’s largest study of corporate reputations. Under the Deloitte brand, around 200,000 professionals in independent firms globally, collaborate to provide audit, consulting, financial advisory, risk management and tax services to selected clients. Deloitte is one of Africa’s leading professional services firms. It provides these services through nearly 3,800 people in 9 offices in South Africa and 17 cities in Southern Africa. Deloitte is the South African member firm of Deloitte Touche Tohmatsu Limited. Deloitte aims to drive economic growth, capitalise on business opportunities and respond productively to challenges. Through its business, it supports the creation of a sustainable and prosperous society. The Manufacturing Circle was formed in 2008. It interacts with government and other stakeholders in order to review, debate and help formulate policies which will have a positive impact on South Africa’s manufacturing base. The Manufacturing Circle is made up of a number of South Africa’s leading medium to large manufacturing companies from a wide range of industries. Some of the members are leading South African exporters of manufactured goods to markets around the globe, others are locally based and locally focused companies competing with the best in the world. There is one common denominator among them and that is a passion for manufacturing, coupled with a fervent belief that for South Africa to be economically strong, its manufacturing sector must be strong. A strong and developing manufacturing sector will drive the creation of skilled and semi-skilled jobs in the South African economy. The Department of Trade and Industry is headed by Minister Rob Davies. The Department aims to facilitate transformation of the economy to promote industrial development, investment, competitiveness and employment creation. First conceived at the Presidential Job Summit in 1998, the Proudly South African Campaign was born out of socio-economic necessity to create jobs, under the leadership of the former South African President, Nelson Mandela. Through the National Economic Development and Labour Council (NEDLAC), the Proudly South African Campaign was launched in 2001 and supported by Government, Organised Business (BUSA), Organised Labour and Organised Community. The Proudly South African “buy local” campaign encourages the nation to buy local products and make use of local services, in an effort to stimulate the local economy and help create jobs. Proudly SA also promotes national pride, patriotism and social cohesion. When consumers buy locally produced products and support local service providers, the local economy is stimulated and sustainable job opportunities are created. By supporting local producers and manufacturers (by buying goods which carry the Proudly South African logo or a ‘Made in South Africa’ label) each and every South African can contribute towards creating a bigger demand for home grown products and services; stimulating South Africa’s economic growth; helping to prevent job losses and helping to create job opportunities. The National Planning Commission is chaired by the Minister in the Presidency for National Planning, Trevor Manuel. The NPC is responsible for developing a long-term vision and strategic plan for South Africa. It will also advise on cross-cutting issues that impact on South Africa’s long-term development. The NPC’s mandate is to take a broad, cross-cutting, independent and critical view of SA, to help define the country we seek to achieve by 2030 and to map out a path to achieve those objectives. The Commission has produced the National Development Plan, which is the blueprint for a successful South Africa. The establishment of the NPC is government’s promise to its citizens that it is building a state that will grow the economy, reduce poverty and improve the quality of life of all citizens. PMR Africa offers consulting, research and risk management services. The PMR Africa national survey measures ‘excellence’ according to eleven attributes, which include customer service, BEE, social responsibility and sustainable development. Its questionnaires are developed with the input of key role-players in the specific industries. PMR also generates country profiles, with information on nations’ economic and social standing and puts together community profiles. These community surveys and the collection of data on local dynamics constitute a vital source of information. The purpose of this survey is to strengthen the strategies of communities, as well as to empower communities. The Wits Business School mission is to establish and maintain excellence in scholarship in business and management education, through the promotion of research and teaching in the various business and management disciplines. 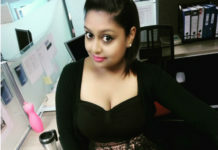 WBS has a strong reputation as a leading business school provider of MBA and other Masters business degree courses, and an extensive range of short-course executive education, leadership development, and corporate learning options. As one of the leading business schools in South Africa, its terrain of knowledge and activity is local, African, and international. WBS academic faculty is drawn from a number of nationalities including Sweden, Great Britain, Germany, Zimbabwe, Ghana, Ireland, USA and Madagascar. Approximately half of its academic fulltime staff is non-South African. The visiting faculty is primarily based in the United States, and it has representation from several other countries. Brand South Africa is the official marketing agency of South Africa, with a mandate to build the country’s brand reputation, in order to improve its global competitiveness abroad. Its aim is also to build pride and patriotism among South Africans, in order to contribute to social cohesion and nation brand ambassadorship. 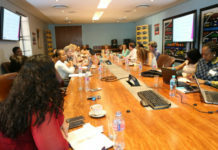 Story on SA Competitiveness Forum: http://www.brandsouthafrica.com/news/953-brand-sa-embraces-spirit-of-competition. Media are invited to visit http://www.southafrica.info/ for further resources which can be reproduced without any copyright infringement. Kindly attribute to Brand South Africa.